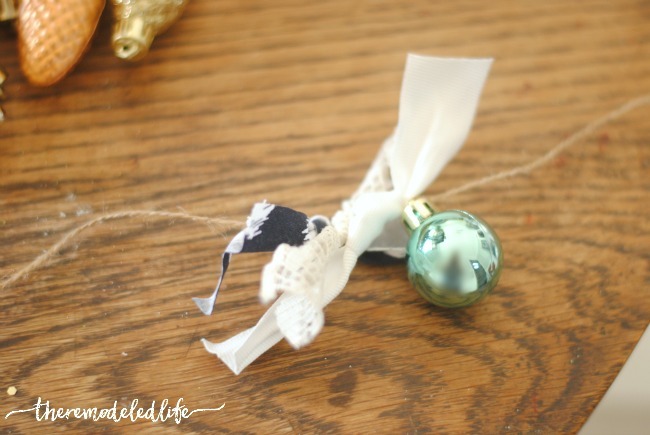 I love making little handmade decorations for Christmas. 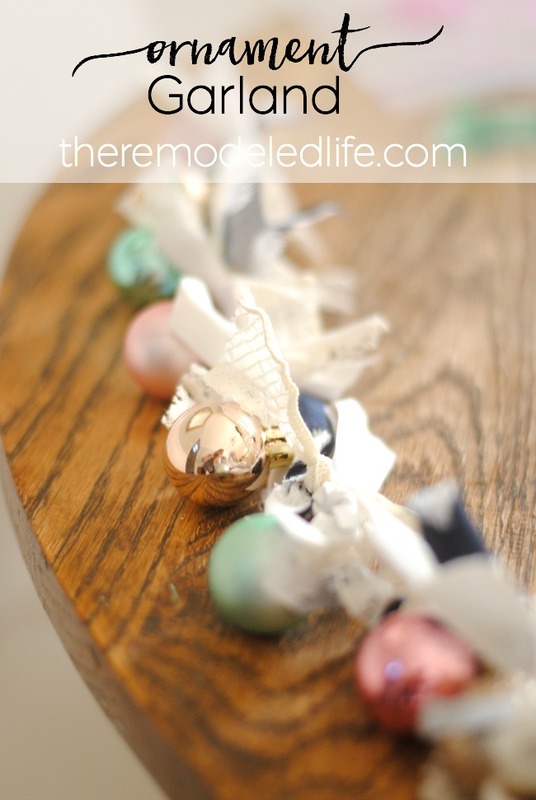 These little ornament garlands are super simple and probably could be made with items you already own. So many sweet little possibilities. This year I decided to not go with the traditional red and green, I was just feeling something different. Most of the colors I used this year were ones that I already use in our house anyway so everything felt like it belonged. I already had some little christmas ornaments I wanted to use for this and I ended up picking up a few more at Target (you are welcome Mike) for just a few several bucks - nothing fancy. 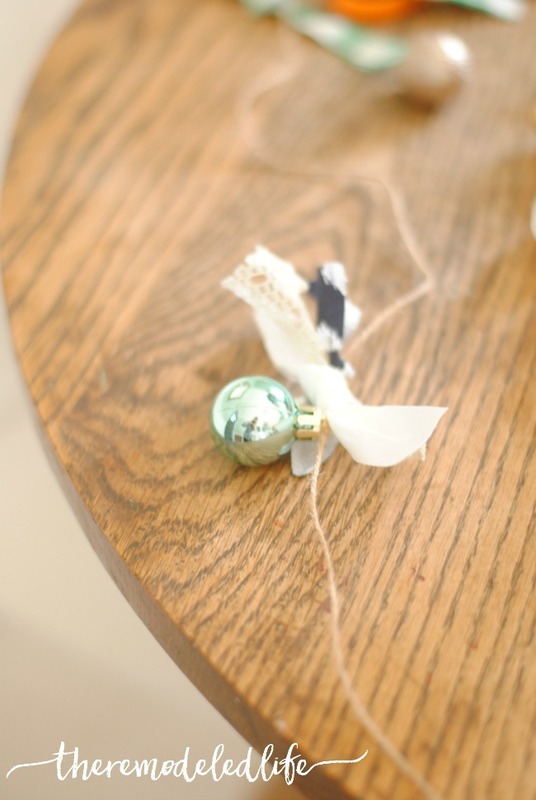 In addition to little ornaments I also used some scrap fabric and twine - that's it! For the fabric (like usual) I used anything like old tablecloths, kitchen towels, leftover fabric, t-shirts...whatever I have. 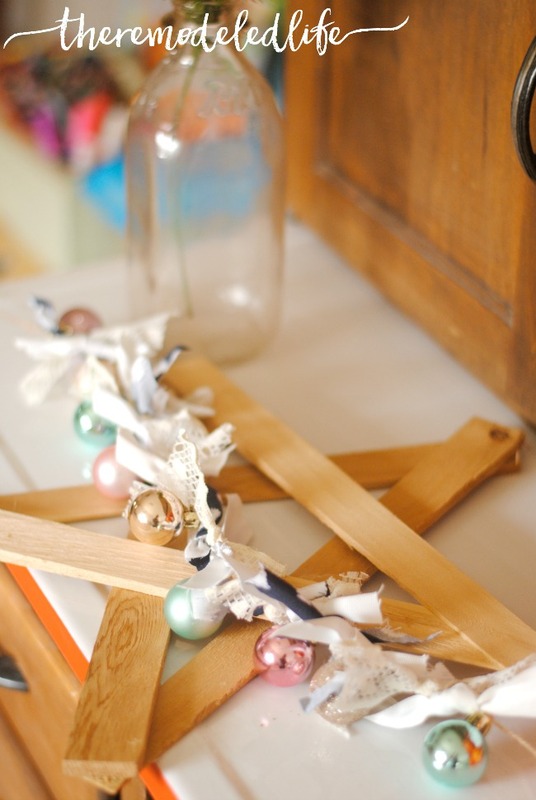 Start with measuring your twine and make a knot at the point where you want your garland to start. 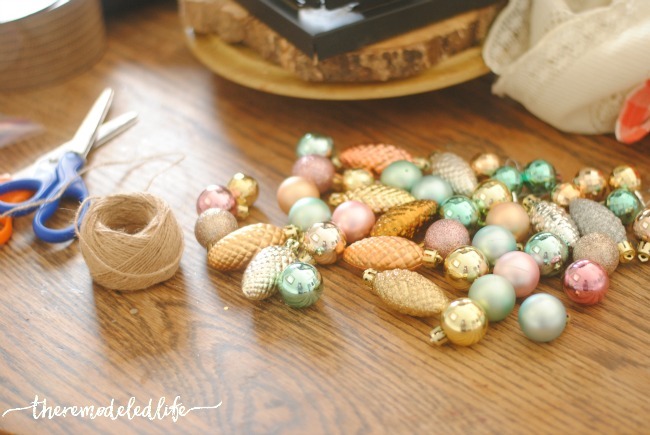 Next, I added an ornament and then tied little pieces of fabric in simple knots along the twine and repeated that process until I liked it. 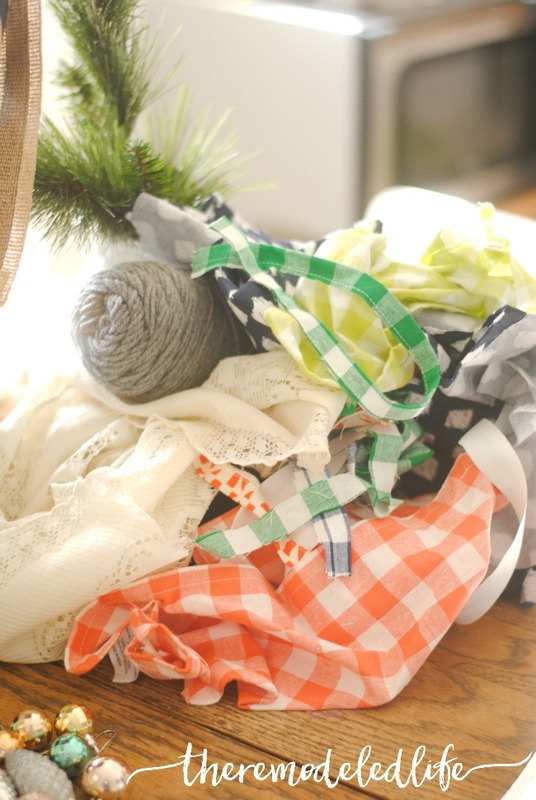 You could also do a longer strip of fabric and tie it differently, just go with it. 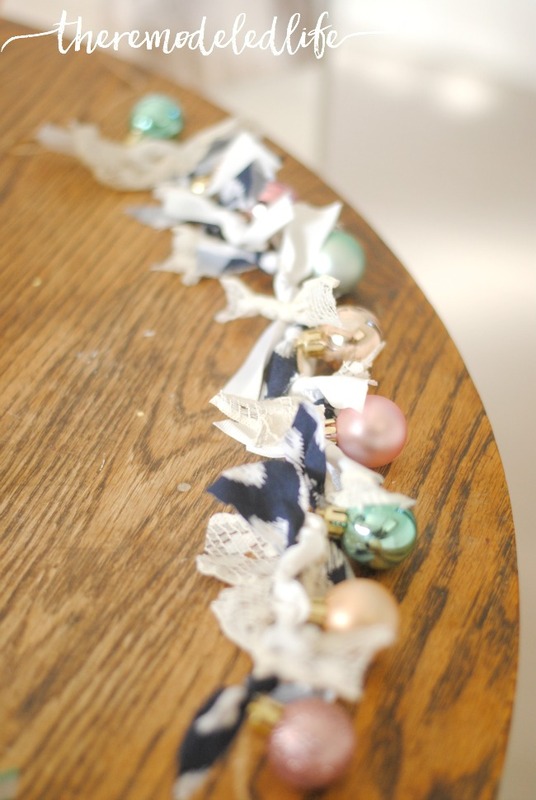 I love the finished garland, so pretty and sweet. I made several different ones to use for decorating all over the house. They don't take long - I finished one in under 30 minutes so its not very time consuming. I made these stars last year, they were super simple! 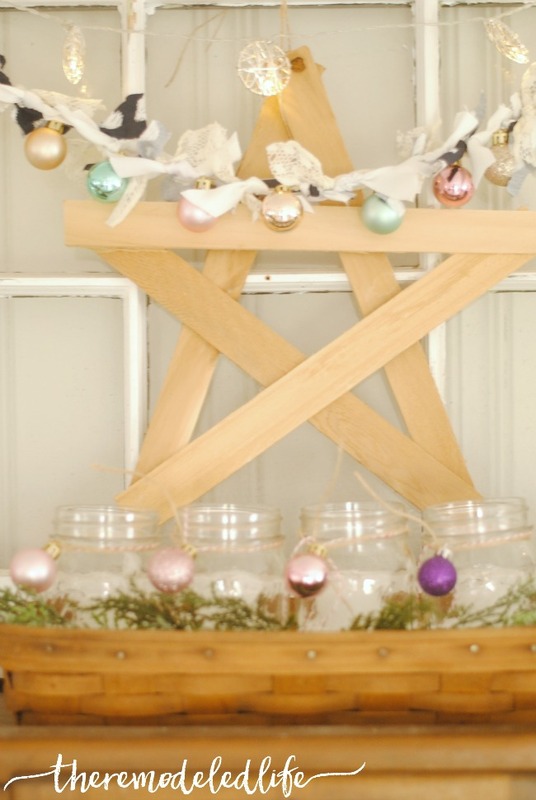 Here is the link to make your own diy rustic stars! And yesterday, I shared about our non-traditional advent candles and our simple chalkboard advent calendar. That's it for today, hope you are enjoying decorating for Christmas!